After a century and a half of building ships, someone at STX France slipped up last week and left the shipyard’s general manager in the embarassing position of quoting an inaccuracy. Namely, that the yard had built eleven ships that now traded for MSC and that never before had so many ships been built for one owner. Perhaps something was missing in the final version, but the same shipyard in fact built twice as many ships for the old French Line. Meanwhile, while Royal Caribbean International will be cutting back on the number of ships it bases in Europe in 2013, it will increase by a third the number that sail from the UK. 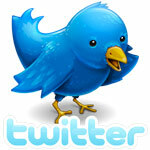 Also last week, details were announced for the salvage of the Costa Concordia. It’s just too bad his facts were wrong. As so often happens in this modern day, researchers appear not to have done their work properly, putting Castaing into the embarrassing position of quoting their inaccuracy. Why do I say this? Because the St Nazaire shipyards built twice as many ships for the famous Compagnie Générale Transatlantique, also known as the French Line. Starting with the s.s. France of 1865 and finishing with the last s.s. France of 1962 (which later became the Norway), St Nazaire built twenty-two ships for CGT. Not only that, but these included the some of the most famous Transatlantic liners of their day – Paris (1921), Ile de France (1927), Lafayette (1930), Champlain (1932) and Normandie (1935). STX France is the successor to two shipyards, Chantiers de Penhoët and Chantiers de la Loire, which were merged in 1955 to form Chantiers de l’Atlantique. But back to the subject of the day, the latest ship, MSC Divina, is 1,094 feet long, 124 feet wide, and measures 139,400 tons, carrying 3,502 passengers in double occupancy (4,345 when all berths are full) and has a top speed of 23 knots. Sophia Loren, the ship’s namesake, will christen her this Saturday in Marseilles. Departing on a six-night maiden voyage the next day, she will call at Civitavecchia, Messina, Valetta and Dubrovnik before finishing in Venice. From Venice, she will offer a series of 7-night Eastern Mediterranean cruises from Venice and Bari, calling at Katakalon, Izmir, Istanbul and Dubrovnik. 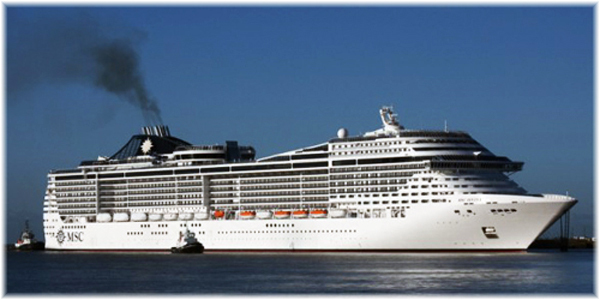 Starting in 2013-14 MSC Divina will also sail from Miami during the winter months. Meanwhile, the next MSC delivery, MSC Preziosa, was originally ordered as the Phoenicia for Libyan owners who defaulted on their payments during the Libyan uprising. A planned 120-ton seawater aquarium that would have contained six sharks has thankfully been eliminated from the plans and she will now be delivered as a more conventional unit of the Fantasia class. MSC Fantasia, MSC Splendida and MSC Divina, as well as MSC Preziosa, will also offer MSC’s exclusive first-class area called The Yacht Club, with just a few dozen suites with butler service, a dedicated restaurant and the exclusive Top Sail Lounge, with forward views available only to Yacht Club passengers. Summer 2013 will see Royal Caribbean International deploy nine ships in Europe, compared to twelve this year, but the number of ships sailing from the UK will rise from two to three, although the 3,634-berth Independence of the Seas, the stalwart of Royal Caribbean’s UK program, will no longer sail from Southampton by winter. With more than 40 per cent of British passengers choosing to cruise from UK ports, Royal Caribbean is increasing its capacity for summer 2013 in line with this trend. The Independence of the Seas will therefore be joined at Southampton next May by the 3,114-berth Adventure of the Seas while the 2,112-berth Brilliance of the Seas will be based in Harwich, the port where she was christened and from which she made her maiden cruise in 2002. 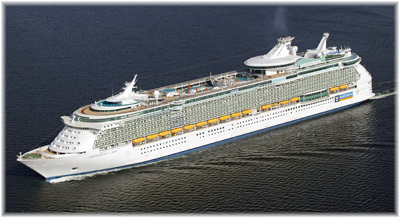 The Brilliance will replace sister ship Jewel of the Seas, which has just begun a May to August Harwich to the Baltic season for 2012. Joining Independence of the Seas at Southampton, Adventure of the Seas will offer a series of 7-, 12-, 13-, 14- and 16-night cruises to Northern Europe, Iceland, the Baltic, the Mediterranean and the Canary Islands while Brilliance will offer 10- to 11-night North Sea and Baltic cruises from Harwich. Meanwhile, Barcelona will have the 3,634-berth Liberty of the Seas and 2,100-berth Serenade of the Seas, while the 3,114-berth Navigator of the Seas and 1,804-berth Splendour of the Seas will sail from Civitavecchia and Venice, respectively, and the 1,800-berth Legend of the Seas will assist them from both ports. 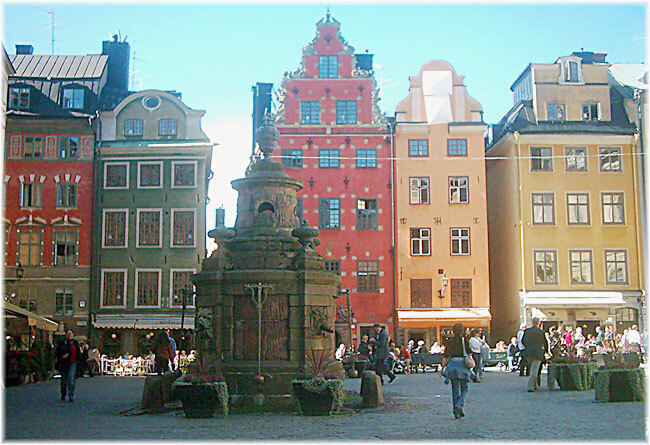 To the north, meanwhile, the 2,000-berth Vision of the Seas will sail from Copenhagen and Stockholm, also offering a 10-night British Isles cruise from Copenhagen on August 7. Finally, Royal Caribbean will offer alternative embarkation ports on some ships in 2013, with Liberty of the Seas boarding at Toulon and Naples as well as Barcelona, Navigator of the Seas at Messina, Legend of the Seas at Marseilles and Genoa, and Splendour of the Seas at Bari. The line has also recently re-opened its own French office in Paris to develop new passengers from Marseilles and Toulon, as well as a few departures that have been scheduled from Le Havre. By next summer, seven of the nine European-based ships will have completed multi-million dollar refits bringing them up to standard with the most recent “Oasis” class ships. In total Royal Caribbean will offer 276 sailings to 88 ports on 58 European itineraries in 2013. Work to salvage the Costa Concordia, which stranded off the island of Giglio on the Tuscan coast on Friday the 13th of January, taking with her 32 lives (one in every 132 on board), is set to begin in days, it was announced on Friday. Leading the project will be Titan Salvage of Pompano Beach, Florida, part of the Crowley Group, who along with Italian partner Micoperi, were awarded the contract last month to refloat and remove the crippled 114,147-ton ship. Since its founding in 1980, Titan has performed more than 350 salvage and wreck removal projects. An evaluation team with representatives from Costa Crociere, Carnival Corporation & plc, London Offshore Consultants and Standard P&I Club, along with classification society RINA and shipbuilders Fincantieri selected the final plan. Key to the winning Titan-Micoperi bid was the proposal to remove the wreck in one piece to minimise environmental damage on Giglio. The project is expected to take about a year and will be divided into four stages. The fuel has already been removed as part of Costa’s commitment to minimize the environmental impact of the shipwreck. The process will involve the construction of a platform below sea level and attaching watertight caissons to the ship’s side above water. Two cranes attached to the platform will then pull the ship upright, aided by the water-filled caissons. Once the ship is up on the platform, more caissons will be attached to the other side of the hull. The caissons on both sides of the ship will then be drained and filled with air. Once refloated, the wreck will be towed to an Italian port for processing in accordance with Italian regulations. Finally, the sea bottom will be cleaned and marine flora replanted after the Concordia is removed. The refloating plan prioritises safety and the protection of Giglio’s economy and tourism industry. As well, salvage workers are not expected to have an adverse impact on the availability of hotel rooms for Giglio’s summer trade as the project’s operating base with be located on the mainland. Investigators accused Schettino of delaying evacuation and losing control of the operation, during which he abandoned ship before all 4,229 passengers and crew had been taken off the vessel. He has been charged with multiple manslaughter, causing the accident and abandoning ship prematurely. Half a nautical mile is a little over three ship’s lengths, or perhaps a more revealingly, more than twenty-five ship’s breadths off course.